It hasn’t always been happy hunting in the transfer market for Arsenal, with fans hoping for more since the glory days of title winning sides. However, things are picking up and some serious cash has been spent in recent transfer windows by the Gunners. 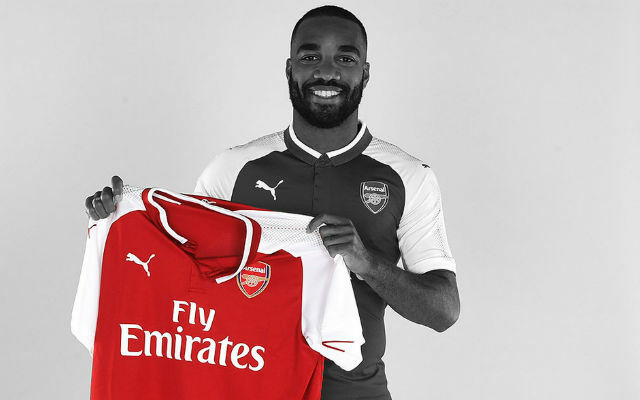 With the January transfer window upon us, we’ll be bringing you the very latest Arsenal transfer news and gossip daily so you won’t miss any movement in or out of the Emirates Stadium. Also, make sure to check out our Arsenal transfer news rumours live feed with all the latest in-depth analysis on the latest players being linked with a move to north London. Arsenal are one of the clubs being linked with a move to former Blackburn and Stoke midfielder Steven N’Zonzi, who has been a key figure for Spanish La Liga side Sevilla since 2015. Currently in the France squad for the World Cup, he told gathered press that; “I am feeling very good at Sevilla but they are not the biggest club in Europe. Playing with high profile players in a big team could be a good progression for me. We all know that the transfer window is open but we don’t talk about it that much” (via The Sun). Marouane Fellaini’s future beyond this summer looks set to be away from Manchester United, despite being offered a new one-year deal, and now it appears that Arsenal could be where the Belgian midfielder ends up next. On Wednesday Arsenal and Fellaini will hold talks regarding a move to the Emirates Stadium and it’s sure to be transfer news that will split the majority of Gunners fans. The 30-year old also has an offer of a clean break from the Premier League with Serie A giants AC Milan (via the Times). Arsenal’s new manager Unai Emery is set to be reunited with one of his Paris Saint-Germain talents in this summer’s transfer window, as the club move closer to signing 17-year old midfielder Yacine Adli. The French youth international has yet to feature for PSG’s senior squad, but is highly-rated and looks set to have a big future for club and country. The opportunities at Arsenal have apparently appealed to Adli over PSG’s more star-studded project, which would likely have limited his first team chances (via the Mirror). Ask any Arsenal fan and they will tell you that new defenders are a must in this summer’s transfer window, and it would appear that the club are firming up their long-standing interest in Porto’s defender and defensive midfielder Danilo Pereira. The 26-year old Portuguese international has been a regular for Porto this season, appearing in all six Champions League group stage matches. Under the Gunners recruitment model the former target under Arsene Wenger remains on the radar, despite the soon to be arriving Unai Emery as the new manager (via Sky Sports). Arsenal may be managerless but the club’s recruitment team has been in contact with representatives of Nice midfielder Jean-Michael Seri. However, the Mirror states that despite the Gunners advances, it’s London rivals Chelsea who remain the firm favourites to sign the player this summer. The potential deal to take Seri to London, be it Stamford Bridge or the Emirates remains one that will likely drag on for a while longer with doubts surrounding the manager at one club and no manager at another – it looks to be one to watch over the coming weeks (via The Mirror). German news source Bild are reporting that Arsenal have opened talks with Bayer Leverkusen’s goalkeeper Bernd Leno. The 26-year old is viewed by the club as the number one replacement for veteran Petr Cech. The report claims that Leno has already spurned the opportunity to join Napoli in the close-season and may have his eye on the Premier League. With multiple reports claiming Arsenal will only have around £50m to spend this summer, the good news with Bernd Leno is that he has a release clause of just £17.5m (via Express). It would appear that the Gunners have finally got down to offering a new contract to Jack Wilshere, with reports that the England international will indeed sign and remain at the club long-term. The club originally offered a pay-decrease with bonuses depending on performances, but the talk is that the club are now offering an increase to fend off interest from the likes of Everton and AC Milan (via the Mirror). Freiburg’s 21-year old Turkish defender Caglar Soyuncu is reportedly set for a move to Arsenal in the summer, despite interest from Bayern Munich. The player’s former club, Altinordu, President Seyit Mehmet Ozkan told reporters; “Caglar Soyuncu is set to join Arsenal. Arsenal demanded his youth information from us. We’ll earn from him if he joins. Bayern Munich wants him too, but he’s on the way to the Premier League” (via Metro). A report is claiming that Arsenal are risking losing one of their hottest prospects Arthur Okonkwo, an England U17 goalkeeper, due to him not yet signing a new deal. The 16-year old’s contract situation has been brought to mainstream attention due to the fact that both German side RB Leipzig and Scottish champions Celtic are both expressing interest in taking him away from the Gunners (via Mirror). Robert Navarro, still only 15, has been attracting scouts attention all across Europe and Barcelona are facing a fight to keep him at their academy with Arsenal a leading contender to sign the Spaniard. The attacking midfielder will turn 16 in a couple of days and will be available to talk to clubs about a move thereafter – Man City were interested but have reportedly ‘cooled’ on a bid leaving Arsenal as frontrunners (via Mirror). Kalidou Koulibaly looks set to be a major departure from Serie A this summer, that is if reports in Italy are correct that Arsenal are one of the leading Premier League clubs looking to snap up the Senegalese international defender. Valued in excess of £65m by Napoli, it’s reported that the Gunners will have to fend off competition from league rivals Chelsea and Liverpool for the 26-year old (via talkSPORT). Reports today are suggesting that Arsenal are winning the race to sign Kai Havertz from Bayer Leverkusen, with the 18-year old German impressing with two goals and seven assists in the Bundesliga this season so far. The attacking midfielder has also drawn the attention of Southampton, but with the south coast side struggling to retain their top flight status, plus the additional report that Havertz is keen to play alongside Mesut Ozil – Arsenal seem to be first in-line to pull off the transfer (via Mirror). In a report with quotes taken from a social Q&A by Cesc Fabregas, the former Gunner and current Chelsea midfielder he would return to the Emirates in the future, but in a coaching capacity. The Spanish international, now 30, left Arsenal back in 2014 for Barcelona – finishing a runner-up in the Champions League and winning the FA Cup in 2005 (via Birmingham Mail). Per Mertesacker will retire at the end of the season and Arsenal scouts have apparently been monitoring the progress of defender Ruben Dias at Benfica as his replacement. The 20-year old has three league goals in Portugal, as well as a couple of appearances in this season’s Champions League. However, Benfica have told the Gunners to cough up over £35m if they are to be tempted into selling the youngster (via Mirror). The Gunners have made Bernd Leno at Bayer Leverkusen their top target to replace veteran keeper Petr Cech – with the 26-year old valued at around £25m. The German is currently the third choice option in the German international squad behind Manuel Neuer and Marc-Andre ter Stegen and could view a Premier League move as a chance to bolster his options to become a future German number one (via Sun). Arsenal are reportedly interesting in signing 23-year old Bryan Cristante this summer. The midfielder, currently on-loan at Atalanta from Portuguese side Benfica has been impressing in Serie A this season, scoring seven goals and assisting one. Atalanta apparently have an option to buy for just £2m this summer, and will likely do so and sell for major profit straight away. However, Arsenal face competition from Premier League rivals such as Liverpool and West Ham, as well as Italian giants AC Milan and Juventus (via The Sun). Long linked with a move back to Barcelona, Hector Bellerin is now reportedly ‘no longer’ a target for the La Liga giants, however Juventus are now the frontrunners with the Frenchman expected to be a summer departure. The 22-year old’s form has been inconsistent this season despite being a regular starter, and recently drew criticism from supporters fuelling speculation that he will likely depart at the end of the season. Juventus appear to be ‘progressing’ to bring him to Turin in a move that would have its obvious attractions to Bellerin (via Mirror). Arsenal’s star full-back Hector Bellerin was left fuming at boss Arsene Wenger after being dropped just two hours before kick-off in their defeat to Brighton on Sunday. The report even suggests that Bellerin had asked to get a transfer away from the club in reaction to feeling like being made a ‘scapegoat’ for the team’s recent form (via The Sun). With over 80 senior appearances in Ligue 1, 19-year old Toulouse goalkeeper Alban Lafont has revealed that he is a ‘boyhood fan’ of Arsenal. The Gunners have been keeping tabs on the starlet who is also very much on the radar of Europe’s top clubs, including Serie A title challengers Napoli. However, Arsenal may be a real contender to sign Lafont with the keeper telling media; “I like Arsenal a lot. I have followed them since I was little” (via talkSPORT). Fresh off the back of the Gunners disappointing 3-0 loss to Man City in the EFL Cup Final, legendary striker Thierry Henry has admitted he would be “interested” in being the next man in the managerial hot seat. The current Belgium assistant manager will be looking to help his current employers to a World Cup this summer, but when asked would he want the Arsenal job; “Interested? Yes. Who wouldn’t be? ‘But I have respect for the man in charge still” – he told Sky Sports (via Sky Sports). Reports are suggesting that Barcelona will not be pursuing the signing of Lyon’s captain Nabil Fekir in the summer, news that will be a boost to Arsenal who are showing real interest in the £45m-rated midfielder. The 24-year old French international has been in impressive form this season, scoring 21 goals and assisting six in 33 appearances for the Ligue 1 club (via Sport). According to reports, Arsenal manager Arsene Wenger will tell the club to make a £45m in the first days of the summer transfer window for Nabil Fekir at French side Lyon. Real Madrid are also being linked as potential suitors, however fans will be hoping that another attacking acquisition is just part of a transfer drive that will also see defensive reinforcement arrive in north London this summer (via talkSPORT). Arsenal, according to reports, are looking into the possibility of enquiring about the availability of Barcelona’s Ousmane Dembele this summer. After starring for Dortmund and earning a £90m+ move to the Catalan giants, the 20-year old has played just 170 minutes in La Liga mainly due to injury and not getting time to impress when he has been on the pitch. Arsenal, if serious, would likely have to pay what Barcelona did and more to get the French international (via Mirror). According to multiple reports, the Gunners are watching on with the situation regarding Luke Shaw’s contract at Manchester United. The 22-year old English international left-back has got his way back into the United first team after a long injury. Shaw’s contract is up in 2019 and Arsenal could look to pounce on a cut-price deal this summer should no new deal get offered (via talkSPORT). The Arsenal board are putting plans into place, with three likely scenarios as the club prepare to face Ostersunds in the Europa League. The hierarchy are desperate for Champions League football to ensure lucrative sponsorship deals and being able to attract elite transfers again this summer. The scenarios on the table for Wenger are leaving at the end of the season, staying until 2019 or signing a brand new contract (via Mail). Reports today are suggesting that manager Arsene Wenger is looking to persuade the in-demand Max Meyer to join the club this summer. The German, 22, who plays in midfield is out of contract at the end of the season with Schalke and Wenger is hoping to convince him to join international teammate Mesut Ozil at the Emirates. However, the club face tough competition in the form of Bayern Munich and Liverpool who are also expressing interest (via Star). Arsenal fans will tell you that they demand new defensive players in the summer, and will buyod by the news that the club are being linked with Juventus defender Daniele Rugani. The 23-year-old Italian’s agent has reportedly revealed that Arsenal are indeed interested in the player who has struggled to get regular starts at the Italian champions this season – with just 11 appearances, one goal and one assist in Serie A (via the Star). Schalke’s 22-year old midfielder Max Meyer will consider his future with the club in the coming weeks with his contract up in the summer with the Bundesliga club. Arsenal are believed to be monitoring the situation and according to the report have long-admired the German – with Meyer available on a free this summer there may never be a better chance for Arsenal to move (via Mirror). Gunners fans are sweating on a deal to be done for Pierre-Emerick Aubameyang by tomorrow but the club are reportedly look to the summer transfer window with news that Atletico star Yannick Carrasco is on the shortlist. With the 24-year old seemingly out of favour this season with manager Diego Simeone there appears an opportunity to bring in the midfielder who shone last season with 10 goals. £40m is said to be enough to get him this summer, despite the player having a release clause in his contract of £88m (via The Metro). Arsenal could be set to allow yet another first team start to depart to a direct rival in this transfer window with the club apparently willing to sell Olivier Giroud to Chelsea. The only condition for the French international to be sold to their London rivals is if the Blues can stump up £35m for the 31-year old (via the Mail). Arsenal are facing a battle to keep all of their strikers happy if they sign Pierre-Emerick Aubameyang, after news has come out that Dortmund have dropped their interest in Olivier Giroud. It would also seem to throw the transfer of Aubameyang in doubt with just a few days of the window remaining and the German giants are likely to want a replacement lined-up before sanctioning a deal to Arsenal (via Daily Mail). Arsene Wenger has ruled out striker Danny Welbeck leaving the Emirates Stadium in the last week of the transfer window, with rumours that both Crystal Palace and Besiktas want the England international (via talkSPORT). Arsenal appear to be close to a breakthrough with the contract of Mesut Ozil with a report stating that the German World Cup winner is ‘close’ to signing an improved contract – in what would be a welcome boost to Arsene Wenger’s side. Ozil has scored four and assisted five goals in 18 Premier League appearances this season for Arsenal (via Sky Sports). Reports are suggest Italian giants Juventus are targeting a transfer move for a new number 10 for next season and they are eyeing up soon to be free agent Mesut Ozil and also Tottenham’s Christian Eriksen. Both players would represent a huge outlay for the Old Lady, with Ozil’s wage demands likely to be above what Juve are likely to want to pay and Spurs will be reluctant to even discuss letting their star man leave (via ESPN). A report today is suggesting that Arsenal manager Arsene Wenger is having serious reservations in regard to potentially signing about signing Pierre-Emerick Aubameyang due to the player’s temperament and discipline issues at Dortmund. The £50m-rated striker has been dropped at least three times by his own club for poor conduct and despite his obvious talent for scoring goals, Wenger is left pondering whether Aubameyang is what Arsenal need this month (via Star). If Alexis Sanchez is to leave Arsenal for Manchester United then the Gunners are demanding that they get Henrikh Mkhitaryan as part of any deal. A report in Argentina picked up in England is stating that Arsenal are lining up a replacement for Alexis Sanchez who looks set for Manchester City – in the form of Boca Juniors attacking star Cristian Pavon. There is a release clause of around $37 million (£27m) which isn’t likely to put off the Gunners should they get most of that for Alexis Sanchez. The 21-year old has scored three and assisted six in 12 appearances this season in Argentina and can play left wing or right wing and through the middle (via Metro). This might not the best time to hear this Arsenal fans, but boss Arsene Wenger has reportedly said that the club are not close to securing any other signings this January after securing defender Konstantinos Mavropanos. Fresh off a shock FA Cup defeat fans will be looking for more reinforcements for the second half of the season but Wenger said; I can’t give you any news on any transfer because we are not close to signing anyone” (via the Sun). Reports today are suggesting that Paris Saint-Germain have spurned the chance to bring in Karim Benzema in the January transfer window, with the La Liga champions seemingly looking to cash-in on the 30-year old Frenchman. Arsenal are reportedly plotting a €20m (£17.7m) move for Barcelona’s 22-year-old winger Jose Arnaiz. Despite only arriving in the summer from Valladolid, Arnaiz has been restricted to mainly cup appearances with the first team and Arsene Wenger’s side are serious contenders to make a move in January – according to (via Spanish news source Marca). David Luiz is the latest name being linked with Arsenal in what would be shock bit of business taking the Brazilian from Chelsea to north London. Any kind of bid would be in the region of £30m+ in order for the Blues to sell – with Arsene Wenger apparently very keen on the player’s versatility to play both defender and defensive midfielder (via Express). Arsenal are reportedly monitoring the availability of Malcom, a Brazilian winger currently playing at Bordeaux in France. The £30m-rated 20-year old has been lighting up Ligue 1 this season with seven goals and four assists in 17 matches – but Arsenal, if serious, will face competition from other top European clubs including rivals Manchester United (via IBTimes). Besiktas are readying themselves to lose Cenk Tosun in the January transfer window and are likely to turn to £30m-rated Olivier Giroud as a replacement. Tosun has been linked with numerous European clubs including Chelsea scoring 12 goals in all competitions this season. Giroud has recently admitted he needs regular game time heading to the World Cup next summer and Besiktas might just be the platform to provide him with guaranteed football (via Turkish Football). Former Stoke and Blackburn midfielder Steven N’Zonzi to Arsenal is apparently a done deal according to reports. A deal in the region of £35.3m has been agreed to take the 28-year old to north London in the new year, with the Frenchman having fallen out with the Sevilla’s club management after a Champions League fixture (via the Mirror). Reports are linking Arsenal with a move for Leon Goretzka from Schalke next summer on a free transfer. A number of top European clubs including rivals Man Utd and Man City are monitoring Goretzka but it’s said that Arsene Wenger’s side are winning the race to sign him on a preliminary deal in the new year (via The Sun). It would be fair to say that manager Arsene Wenger has a certain kind of player in mind when bringing in new players to pull on the red of Arsenal. Ball playing, flair and pace are certainly traits that have been exhibited in past Arsenal transfers. Purchasing players either in their peak or just before is usually the norm, but the one exception to that ‘rule’ was the signing of Petr Cech from Chelsea at the age of 33. In-fact (except Cech), the current top 25 most expensive signings at Arsenal have been no older than 28. With the transfer window never far away, Arsenal continue to be linked with a host of players including Riyad Mahrez, Jonny Evans, Joshua Kimmich and Steven N’Zonzi. Arsenal fans have been crying out for bigger marquee transfers for years and in the 2017/18 season the club has broke its transfer record twice with the signings of Pierre-Emerick Aubameyang from Dortmund and Alexandre Lacazette from Lyon – at a combined spend of over £100m. Back in 1999/00 season Arsenal signed a certain Thierry Henry from Juventus for what now seems to be a seriously small sum of cash – £14.49m. However that was around 18 years ago, and despite the amount of time Henry is still only the 12th most expensive player in club history – it can be debated one way or the other; either Arsene Wenger likes to be shrewd in the market or the club has lacked the financial ambition to challenge its rivals. Legendary goalscorer Dennis Bergkamp signed back in the 1995/96 season for quite a sizeable fee for that era – £10.13m, scoring 87 goals for the Gunners.